Installing bots is fairly easy. A user manual is included. You MUST read this manual as it contains some very important information about how to set up windows xp or win 7 environment. 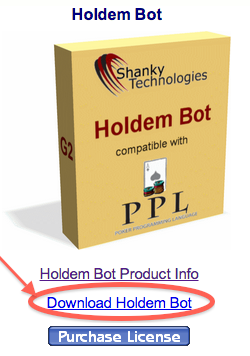 In this tutorial we are going to set up the Holdem Bot. 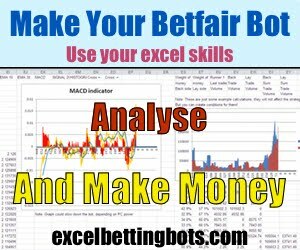 Download the trial of the bot you want to use from the poker bot website. Run the installer and complete the installation. Make sure you read the Manual after the installation in complete. This step is for Windows Vista only, if you're not running Vista skip to the next step. Right click on svchost.exe or it's shortcut and click properties. Go to the Compatibility tab and check "Run this program as an administrator". Run the bot by opening svchost.exe. You should see the window shown in the image below. Now the 200 hand free trial ready to use. 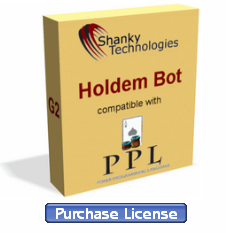 Step 5: (Purchase License) Buy the license from the poker bot's website. After go to the Holdem menu and click "Get Computer Id". Your Computer ID will be shown in the main window of the program. 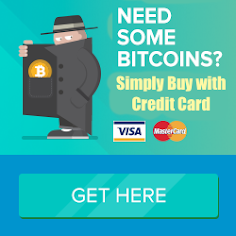 Step 6: Send an email to the poker bot support with your computer ID after purchased the license! Now that you have the Bot installed with a valid license, before register to a new poker room search for a good rakeback deal! And it's time to put that money to work. 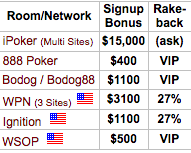 Every poker room software needs to be set up a certain way for the poker bot to work properly. You must read fist the bot's user manual. The profile tells the bot how to play. Profiles vary in strategy and complexity and each is designed for a specific game type. Copy the profile you wish to use to the bot's folder. Default location is "C:\poker\data\". Run the bot by opening svchost.exe. 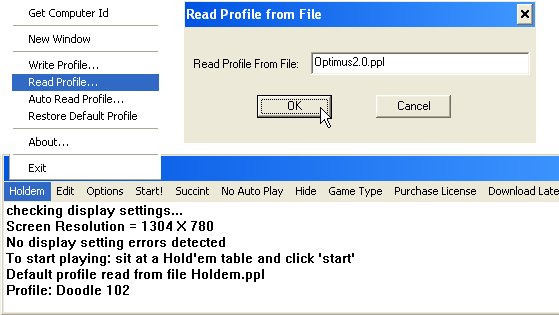 Go to the Holdem menu and click "Read Profile...". Type or paste in the name of the profile you want to load, including the .ppl or .txt part. You should get a confirmation in the main window that the profile was loaded. Warning: Profiles come in two formats ppl and txt. You can load one ppl file and one txt file at any given time. A txt file will override a ppl file. That means the bot will first check for an action to take in a txt file if one is loaded, if no action is found it will use the action in the loaded ppl file. Keep this in mind and pay attention to the file types. If you already have a txt profile loaded and you load a ppl profile afterwards the ppl profile is not going to be used correctly. If you want the bot to always load a profile automatically when opened you need to rename the profile to holdem.ppl if it's a ppl file or AutoProfileHoldem.txt if it's a txt file. Before starting the bot you need to be seated at a table and you need to be in between hands, that means you're waiting to be dealt cards. Click the option to Auto Post Blinds at the table. Then click Start! on the bot. You should see a confirmation with the table name in the bot's main window. The bot is now hooked to that table and can be left unattended. You should play on more than one table at once to maximize your profits. The bot can handle up to 6 tables at once but they all have to be on the same poker room. Once you are seated at a new table go to the bot window that's hooked to another table and click New Window under the Holdem menu. A new bot window will be opened. You will need to load the profile again unless you set up the desired profile to load automatically as shown in Step 3. Click Start! on the new bot window to hook it to the new table. It does not matter if you open a new bot window or a new table first but always hook a bot window to a table before opening another bot window. Move to the next section: How to program the bot to playing a strategy?